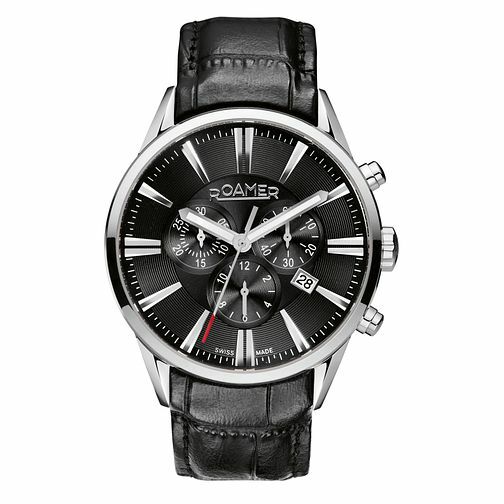 Combining the traditional with the contemporary, this stylish men's timepiece from Swiss watch makers Roamer features a sleek black strap and matching chronograph dial. Boasting a polished stainless steel case and bold, oversized numerals at 12 and 6, the dial is simply finished with a handy date window. Roamer, for those who enjoy life's valuable moments.